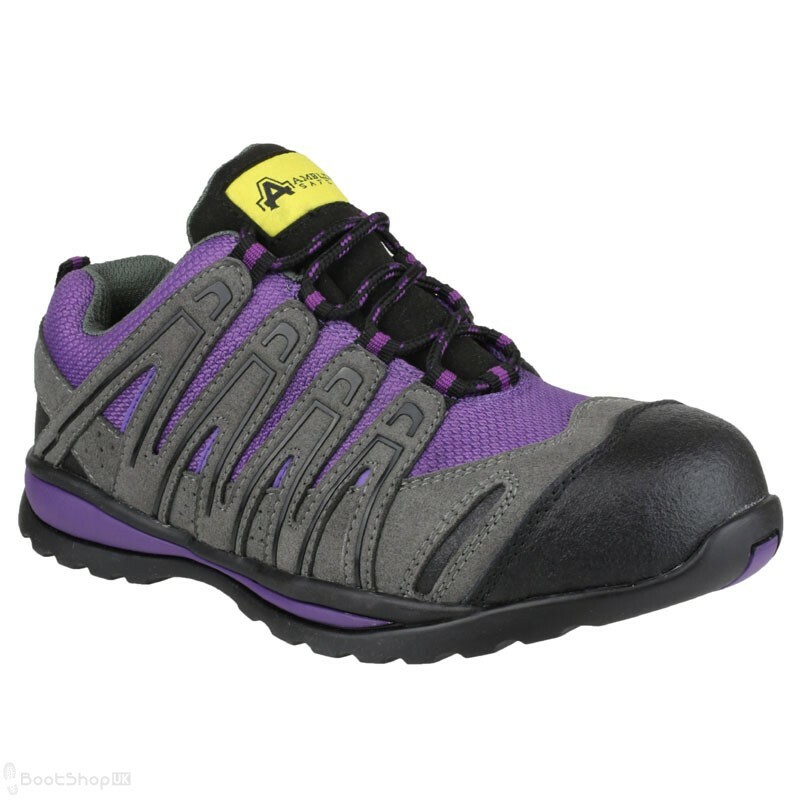 Ladies purple & grey safety trainer featuring non-metallic components. Compression resistant composite cap and midsole. Perforated stylish grey microfibre overlays. Soft mesh lining, textile loop-lacing system and rear pull-on loop. Protective toe and heel guards for additional protection.